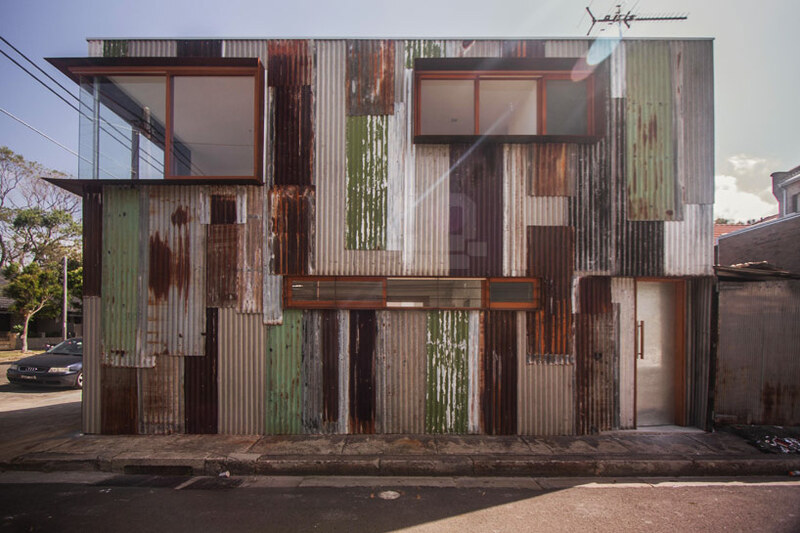 Architect Raffaello Rosselli turned an old decomposing tin shed at the rear of a residential lot, in the inner-city suburb of Redfern, Sydney, into a contemporary light-filled live and work space. 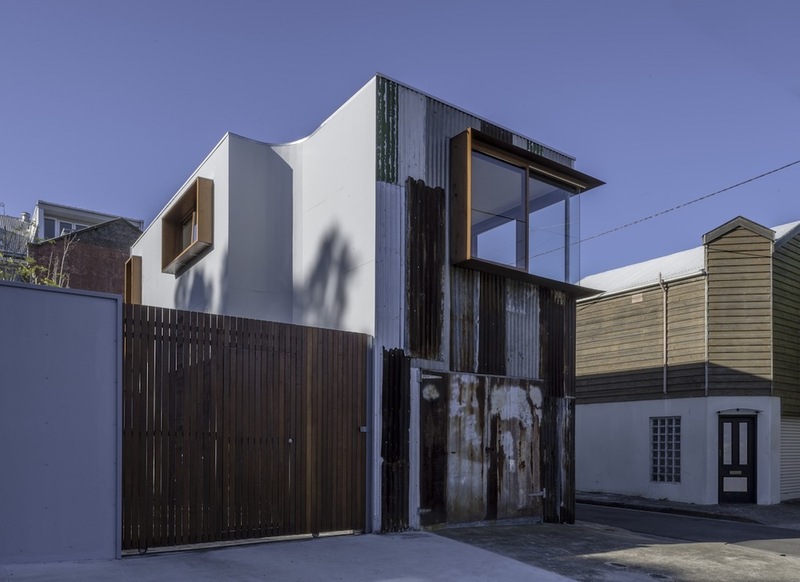 The original shed was a windowless, narrow double storey structure on a single storey residential street. 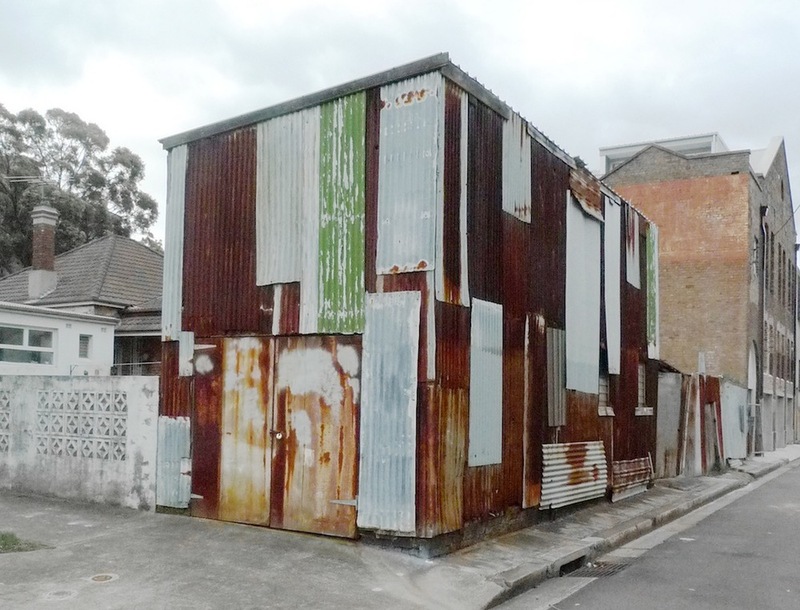 As the only remaining shed in the area (a iconic Australian structure,) it also serves a unique reminder of the suburb’s industrial past and is now last of it's kind. What’s awesome about this project is the unexpected clean, white interior after first viewing the rustic and multicolored exterior. 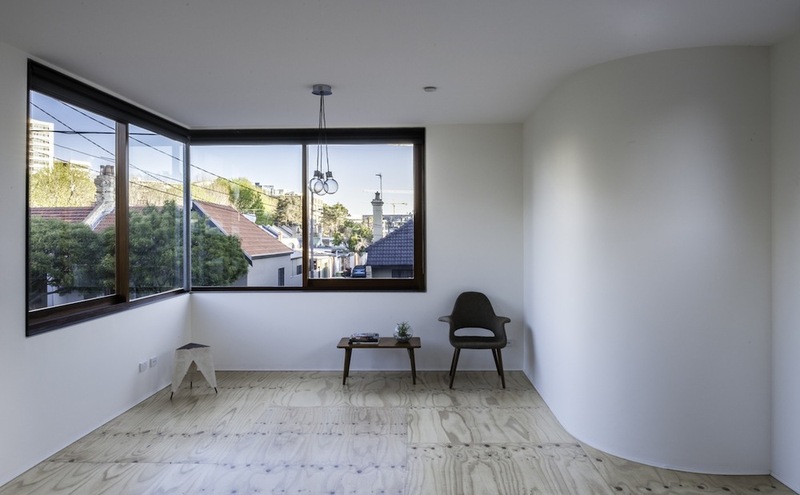 Inside the Tinshed, you’ll find a studio, an office space, and a couple of toilets. It’s a small project, but well done and interesting in a way that most people walking by the project may not even realize. The materials have been left raw and honest, in the spirit of its industrial economy.